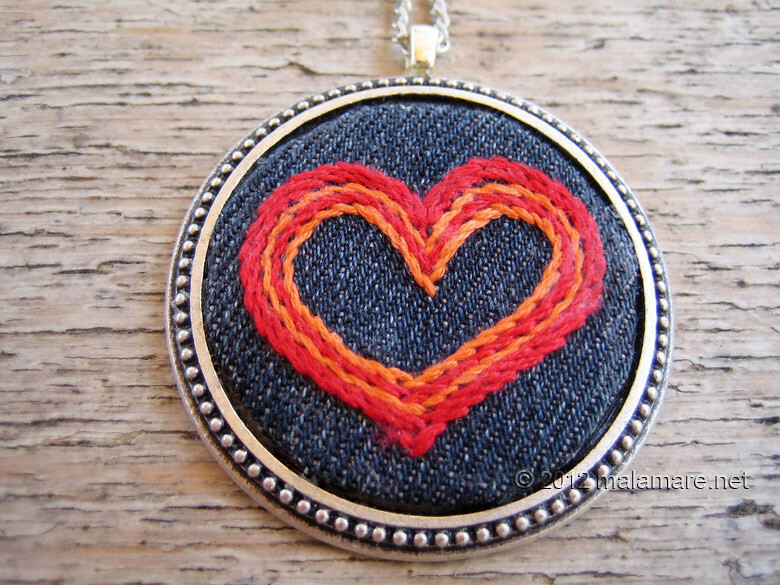 Posted on 4 August 2012 and filed under Accessories. 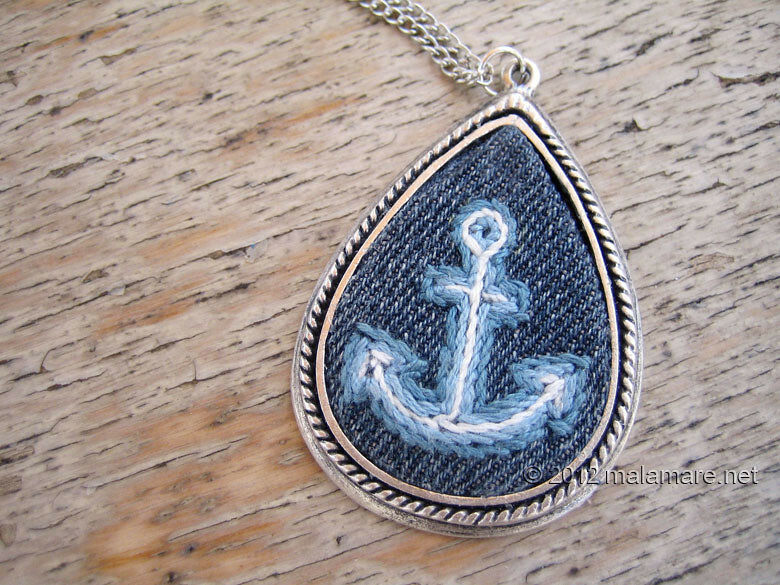 With my inclination towards unique accessories and handmade designer jewelry, how come I do not have any fabric and embroidery necklaces or pendants? An idea of fabric and metal statement necklace has been brewing in my head for a long time and I finally got down to work and made them. 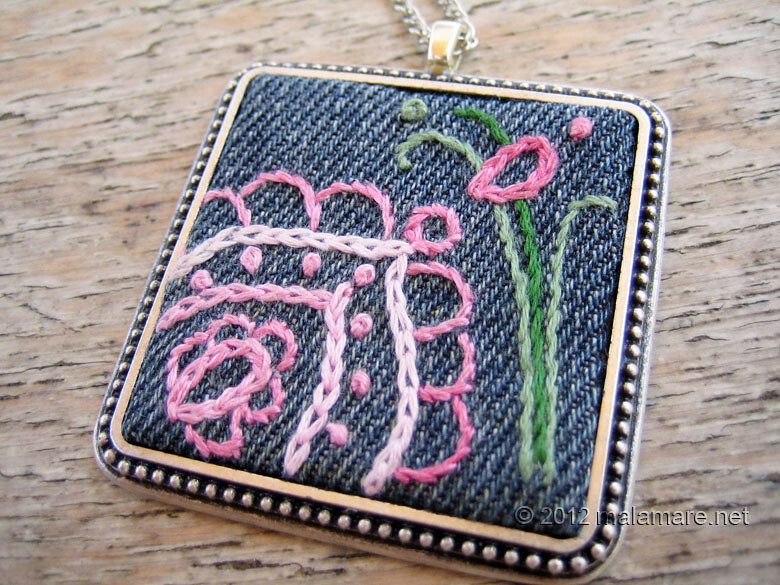 I used remnants of jeans – that pair of trousers that already gave me a clutch bag, cotton embroidery thread and large metal pendant frames. 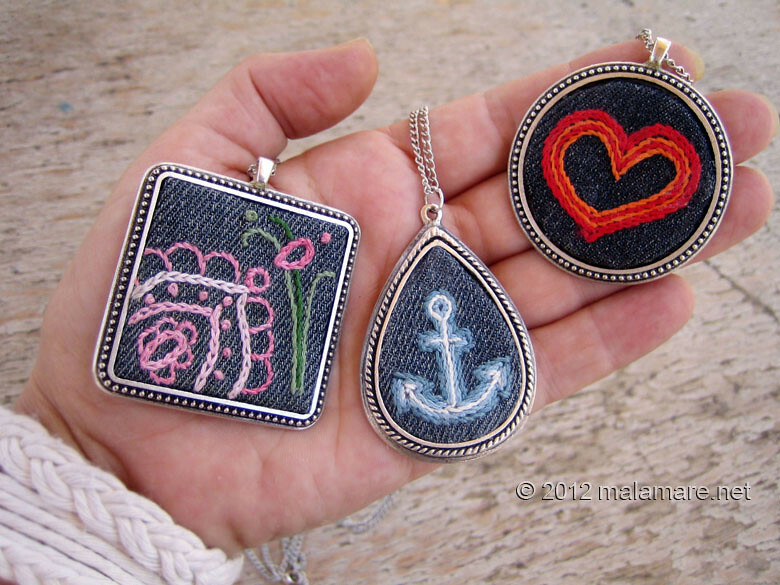 Here they are, three unique jewelry pieces with heart, flower and anchor motifs made in stem stitch and chain stitch. Which one should I wear today? Pozdrav Leu Klupku! :) Eto, za to meni treba končić za vez dnevno!